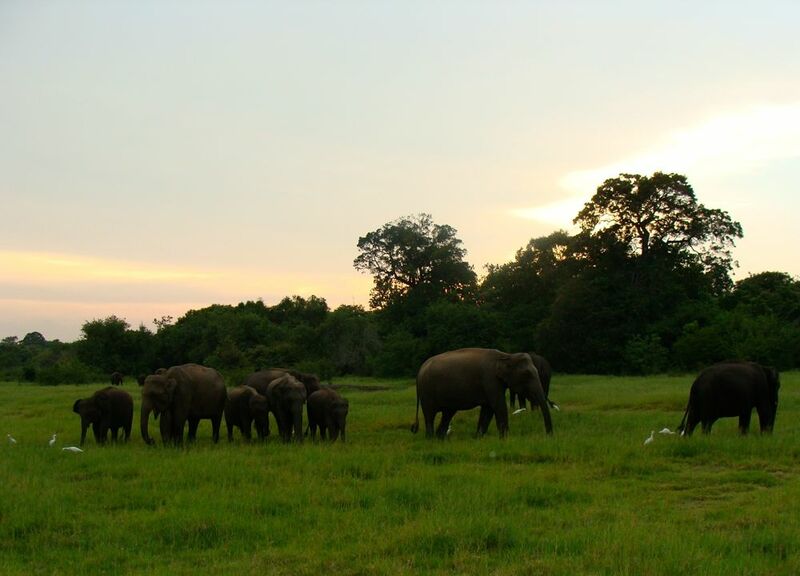 After years of civil war, Sri Lanka has now become one of the most attractive destinations for tourists. As a vacation destination, it offers the best value for your money. ​For those who remember the pre-war Sri Lanka, well, it's all still there. It is still Ceylon, the "Garden of the Gods" that attracted several colonizers. In fact, it's even better as more places such as Trincomalee and Jaffna are now safe for visits. Direct flights service Sri Lanka from many points in Europe, the Middle East and Asia. Visitors from 80 countries can now get a free 30-day visa for tourism purposes upon arrival. Such can be extended up to 90 days for a fee. Sri Lanka has also been chosen by National Geographic as one of the best tourist destinations for 2012. It offers many things for tourists to enjoy. It is a year round destination but, of course, if you want sun and beaches, come in November to April. ​The central highlands are pleasantly cool and relatively dry from January to April. The peak season is mid-December to mid-January and March-April (Easter). More tourists also come in July and August when festivals and pageants take place throughout the country. These are very colourful and distinct. Nature is at its best in Sri Lanka. It must be the world's largest bird sanctuary with birds exploding from the lush vegetation all over the country. And as colourful as the birds, the people in their fantastic combinations of oranges and reds and well, every colour possible in the saris and lungis. And they have wall to wall smiles, too. The police and customs people smile and you feel very much welcome. No wonder the British stayed long and were very grumpy to leave...not all did! The famous writer, Sir Arthur Clarke, chose Sri Lanka as his home as did many other Europeans who hung on even during the wars. Through its ruins and archaeology and its overlap of Buddhism and Hinduism, Sri Lanka gives the living feeling of a great and complex culture and unlike so much of South Asia, there is space to actually be a part of it all. 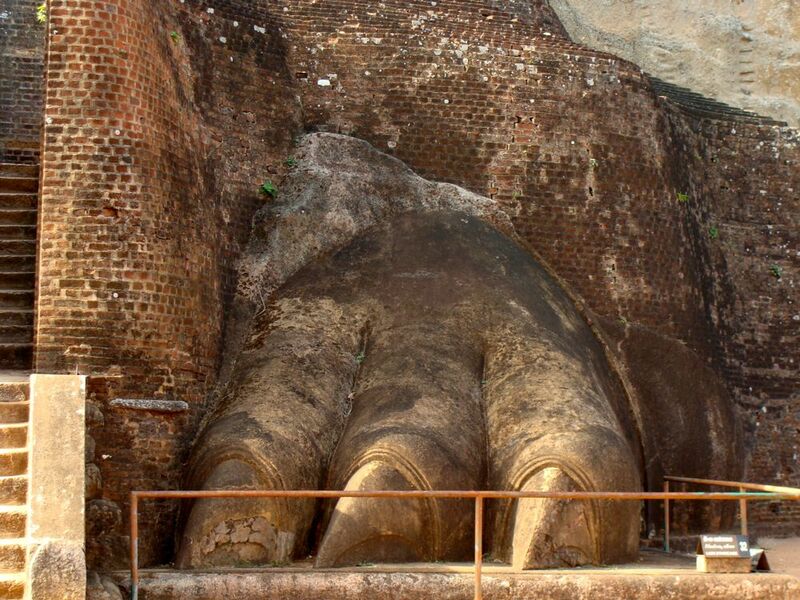 Sri Lanka was well known during the ancient times. The ancient Greek geographers called it Taprobane. The Arabs referred to it as Serendib. The Portuguese called it Ceilo (heaven) and the British called it Ceylon. Today, it is called the Democratic Socialist Republic of Sri Lanka, derived from the Sanskrit "lanka" meaning "island". The word "sri" is the Sanskrit title for "venerable". The Sinhalese, the majority in Sri Lanka arrived in the place around the 6th century B.C. from northern India in one of those vast migrations that led to so much genetic confusion in the world. In the third century B.C., Buddhism was brought by Bhikku Mahinda, believed to have been the son of the Mauryan emperor, Ashoka. It has been said that Ashoka's embrace of Buddhism was the foundation of the reign of social and political peace and non-violence across all of India. Mahinda won over the Sinhalese monarch Devanampiyatissa of Mihintale (get used to incredibly complex names here! ), who embraced the faith and propagated it not only to the Sinhalese population but throughout Southeast Asia. This civilization mushroomed in the ancient cities of Anuradhapura and Polonnaruwa with the Sinha Royal Dynasty ruling for over 2000 years. Other dynasties such as the Chola, the Pandya, the Chera and the Pallava dynasty all ruled at one time or another and you can really get into all of these in some of the books listed here. In the 14th century, a South Indian dynasty established a Tamil kingdom in northern Sri Lanka and began the two culture tradition that has had its ups and downs ever since. And then to top it all off, the Brits brought in another mass of Tamils from India to pick their tea and this is the group that we hear about later in the war that just ended. If you're interested, check out the available books and get up to speed in a beach chair. 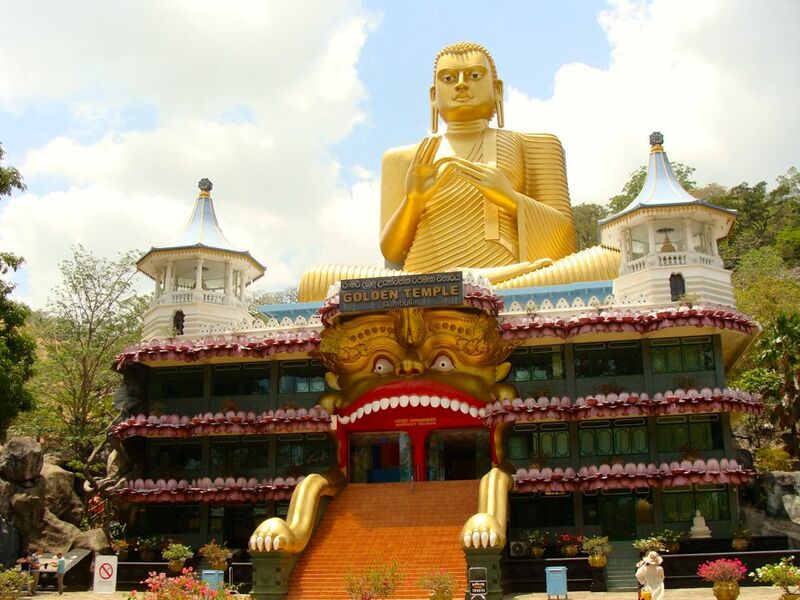 There are many cultural heritage sites in Sri Lanka such as the ancient capital of Anuradhapura, Polonnawura, Kandy, Sigiriya, Nalanda, Ritigala, and Medirigiriya. It is strictly prohibited to have your picture taken in front of or beside any of the sacred statues or murals. Those who wish to photograph the ancient monuments are required to purchase a ticket from the Central Cultural Fund in Colombo or their offices in Anuradhapura, Polonnaruwa, Sigiriya or Kandy. It costs to keep these fabulous treasures in good shape so, fair enough, that we all chip in to support our international heritage. You are better off to purchase a single round pass. 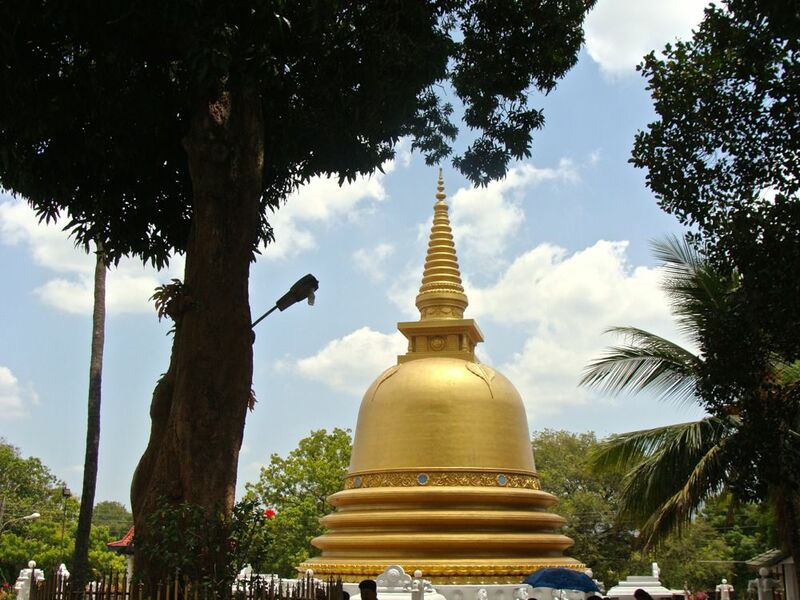 205 km from Colombo, Anuradhapura was the Island's first capital. Founded around the 4th century BC, it flourished for 1300 years. The Mahavansa, the Sinhala Buddhist chronicle talks of the city as a model of planning. There were precincts for huntsmen and scavengers and even heretics and foreigners. There were hostels and hospitals, separate cemeteries for high and low castes. The reservoirs ensured a steady water supply. Struggles for royal succession and pressures from the Indian expansion made it vulnerable so it was later abandoned as the capital was moved to safer places. Built around a cutting from Buddha's "tree of enlightenment", brought there in the 3rd century B.C. by Sanghamitta, the founder of an order of Buddhist nuns, Anuradhapura's palaces, monasteries and monuments hidden away in thick jungle for an eon are again welcoming visitors. Kandy is cool and a great respite from the heat on the beach and is easily reachable from Colombo in a day. This is where a magnificent temple hosts Buddha's tooth, one of that religion's great pilgrimage sites and it is a constant celebration of light and sound and devout pilgrims. Close to Kandy is the famous Botanical Garden where you can enjoy looking at plants you have never seen and huge fruit bats. Buy sandalwood oil and other incredible oils and the worlds best pepper. 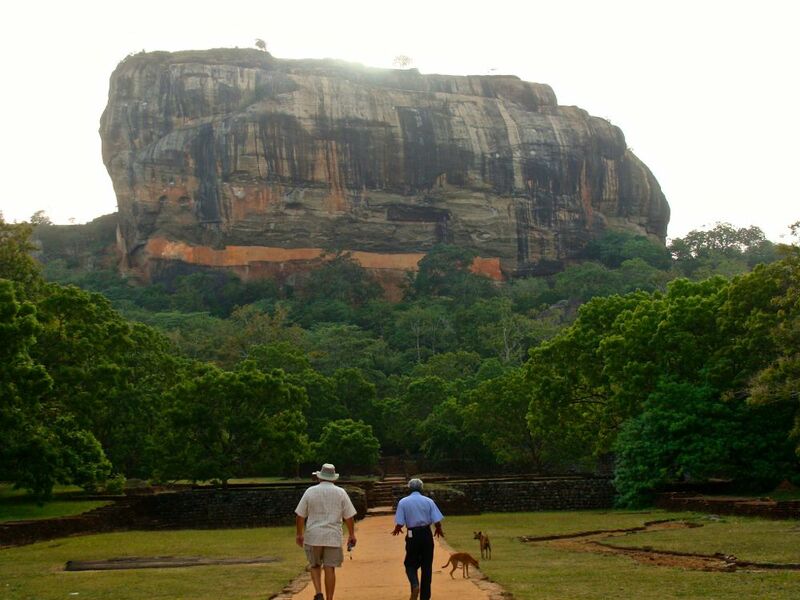 Sigiriya is not a temple but a fortified castle carved into and on a very puzzling stone mountain. It looks like a great thumb sticking up and is really the Ayres Rock of South Asia in its uniqueness. It shows some of the marvels of the ancient civilizations that developed in the area with its intricate and still functioning water systems complete with fountains and swimming pools and stunning wall paintings. To visit the fortress at Sigiriya, you have to be there when it opens at 7 a.m. to beat the heat and be able to manage the 1500 steps. The climb is a bit steep and in the heat is often a trial for vintage fatties. However, it IS do-able. If this is too much for you, visit the national park close by and watch the wild elephants grumble about. Once again, if you love birds it simply does not get better than this. Sigiriya Village Hotel gives a wonderful view of the "mountain" and is modern and very affordable. Check a map. If you're going or coming to or from Asia in a boat, you are going to see Sri Lanka. So the country was an important trading port through most of the history we have recorded. Merchant ships from the Middle East, Persia, Burma, Thailand, Malaysia, Indonesia and other parts of Southeast Asia all came to visit...and make their individual contributions to both genetics and culture. ​The islands were not only known to the European explorers but also to Arab and Malay merchants who came to settle and there is a significant Islamic population especially on the East coast. In 1505, the Portuguese Lourenzo de Almeida arrived in Sri Lanka which was then made up of the three kingdoms of Kandy in the central hills, Kotte at the Western coast, and Yarlpanam (Jaffna) in the north. There is still some evidence of the Portugese, but the Dutch sorted them out soon after. In the 17th century, the Dutch came and you can still seee names left by the Burghers. But the Portugese and Dutch had no sense of being Gods civilizing agent so the impact of their stays is not massive. However in Galle, there are still many Dutch buildings and many Sri Lankans with pride in their Dutch ancestry! In 1796, the British East India Company gained control of the island and in 1802 declared it a crown. By 1815, all of Sri Lanka was unified or at least collected together under British rule, with Colombo as the administrative centre. The British established modern schools, colleges, roads and churches that brought Western-style education and culture. This legacy is everywhere and reaffirms the basic truth that being a colony was not good, but if it had to happen, go for the Brits.The purpose of course was not just having an Empire, it was to make money so the Company established a series of tea, cinnamon, rubber, sugar, coffee and indigo plantations and hence the need for the second wave of Tamils. Imperial rule (Britiish) around the world talked of the inevitability of self government, but did so with a velvet covered fist. Inevitably the hypocrisy of this led to grievances and eventually, the fight for independence. ​This independence movement, led by the Sinhalese who constituted the majority of the population, turned Sri Lanka into more of a Sinhalese nation-state with the Tamils left to pick tea and fish. As Sri Lanka moved towards independence, they took steps to distance themselves from the British. One of these acts was the enactment of the Official Language Act mandating Sinhala as the sole official language of Sri Lanka. Even Quebec got a better deal than this! As a consequence, large numbers of Tamils who worked in the civil service resigned as they could not meet this language requirement. Other attempts were made such as making Buddhism the official religion which made the Hindu Tamils feel even more marginalized and finally convinced some (not all) to fight for a separate nation-state for themselves. This led to an incredibly ugly 30 year civil war which finally ended in 2009. A drive to Hikkadua just down the coast from Colombo will not only take you to many spas, but will let you see the remnants of the great Tsunami of 2003 as well. They have resident ayurveda doctors who provide treatments. If treatment is not for you, you can strengthen the balance and harmony in your body. Or, if you have time you can enjoy a healthy holiday and learn about ayurvedic healing. Hikkadua has some solid and affordable beach front hotels. By the way, the diving in Hikkadua is great and cheap...even the PADI courses! 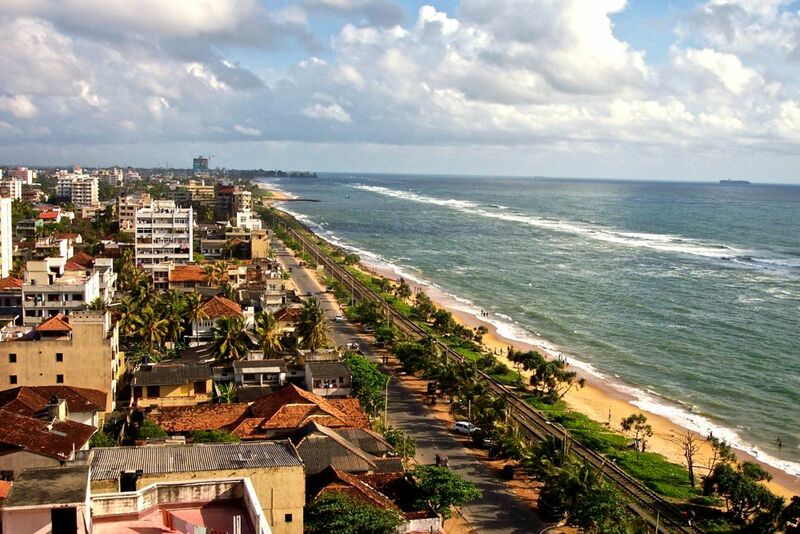 And on the drive from or to Colombo, you will see the traditional mask production and turtle sanctuaries on the beach. You can go for a swim in many of the beaches on the way or grab a rope and help the fishermen and the rest of a village bring their catch in. Learn meditation and yoga. There are several meditation centers that offer lessons. In fact, in your hotel, it will not be unusual to find a yoga teacher. If you have courage, try some toddy made right there. Brings a whole new meaning to coconut juice! If there's one experience I would recommend for your trip to Sri Lanka, it is Ayurvedic Healing. Sri Lanka has several fantastic spas that are organized around ayurvedic practices. These places are not far from Colombo so a weekend stop-over can give you a peek to some of the wellness programs of these health resorts. Make sure you know about their requirements way before you book a treatment. Discuss also with your doctor before you get into it fully. I suggest that you try a short treatment first.